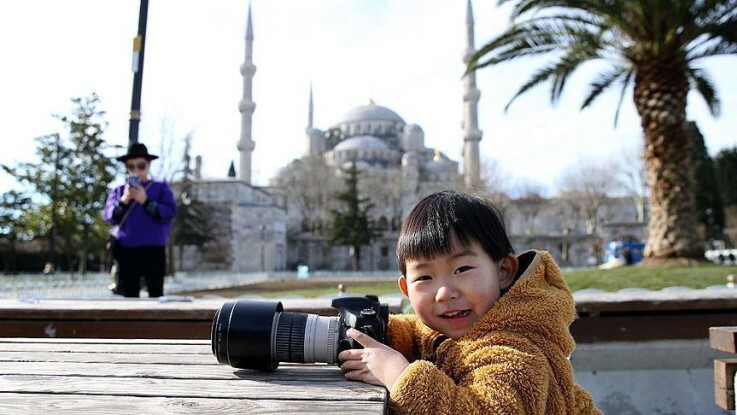 Tourists still flock to Turkey’s largest city Istanbul despite the recent suicide bombing at famous Sultanahmet site, which is visited by up to 14 million tourists each year. “Terror is everywhere. The attack did not scare me. It is a part of life,” says Australian Julian Bowmen, speaking to Anadolu Agency in the city’s tourist hub of Sultanahmet, home to the Blue Mosque and Hagia Sophia. “[Friends and family] strongly recommended [that I visit] both Turkey and Istanbul. I really like Istanbul. The people are pretty intimate. I can also easily find anywhere I wish to visit. I am enjoying this city,” she says. She adds that she never considered canceling her trip. “I thought if I canceled my trip, then I would let them [the terrorists] think that they achieved their goal,” she says. German Ulrike Schneider said that she had visited Turkey five times before, but it was her first time in Istanbul. “Istanbul always draws my attention, but I had worries lately. My friend persuaded me for this trip and then I said ‘why not’. Actually, it is not happening only in Istanbul but anywhere in the world,” she said. Istanbul remains one of the most visited cities in the world, attracting millions of tourists every year. But, on Jan. 12, a suspected Daesh suicide bomber killed 11 people — mostly German tourists — and wounded 15 others in Istanbul’s Sultanahmet district. However, according to tourist guide Hakan Sezen, the situation is similar in many places around the world. “The news regarding Istanbul does not affect the tourists. The danger is not only in Turkey, it is in everywhere. I do not assume that the recent attack will have a major impact on tourism,” he says.